History: My Name Is Sparkle is the latest release from Marvin Etzioni on Peer Music. It's his heaviest album, but its also, in a peculiar way, his sweetest -like Phil Spector orchestrating a George Saunders story. Most of us may relate. It's post US election, and some of us are going through what Etzioni calls a "spiritual flu." We all could use some time to rest, heal, and listen to My Name is Sparkle. On this album you will hear arrangements reminiscent of the George Martin. The album draws you in with clever instrumentation and though provoking lyrics. Like all good albums, this album grows on you. Yes, there are surprises sprinkled here and there ranging from Lennon-esque tunes to spars, at times gritty production, to suite the modern listener. On Marvin Country, there's country, there's alt. country and there's Marvin Country! It's a magical place, some way off the map, populated by back-porch philosophers, hobos, broken hearted lovers and spacemen, and presided over by the man the L.A. Times called "one heck of a songwriter" and Billboard compared to Bob Dylan and John Lennon. Marvin Country was released in 2012 on Nine Mile Records. Says Marvin Etzioni, "For me the real country writers are Leonard Cohen and Dylan, or Sly Stone and Stevie Wonder, or Charles Aznavour and Jacques Brel. To quote Merle Haggard, I wear my own kinda hat." Marvin Country! is the ambitious fourth solo album by a man already revered in Americana circles - among many things, he co-founded the pioneering L.A roots rock band Lone Justice, writing some of its finest songs. 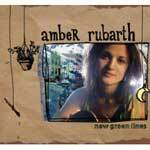 The 19 songs on this double CD are variously original, traditional, tender, quirky, emotional and wise. There's backporch country, barroom weepers, clapboard-church gospel, haunting folk, dusty blues and songs for which a genre's not yet been named. On some of them Marvin goes it alone; a multi-instrumentalist, he plays mandolin, mandocello, guitar, bass, piano, Mellotron, porchboard and keyboards. Others feature a distinguished cast of guests - including duets with Lucinda Williams (a heart-wrenching Lay It On The Table), Steve Earle (Ain't No Work In Mississippi), Richard Thompson (It Don't Cost Much), Buddy Miller (Living Like A Hobo), John Doe (The Grapes Of Wrath), Maria McKee (You Possess Me) and The Dixie Hummingbirds, who add their uplifting harmonies to You Are The Light, a reprise of the Americana classic Etzioni wrote for Lone Justice's acclaimed 1985 debut. Some are born to country. Some, like Marvin, have country thrust upon them - in the form of the mandolin his grandfather, a country music-loving Polish Jew, gave him when he was eight years old. More than four decades later, the Mandolin Man, as he was now known, had Keith Richards autograph it when they played together in the Sin City All Stars band at a tribute to Gram Parsons. Born in Brooklyn and raised in L.A., Marvin formed his first band The Model in 1976; Bruce Springsteen's producer Chuck Plotkin was among its fans. But Marvin took another direction, becoming a solo acoustic singer-songwriter - this in the early '80s when everyone played synth pop or heavy metal - before, mid-decade, co-founding Lone Justice with Maria McKee. Musical differences had him setting off on his own path again. Lili Haydn, Cheap Trick, Roy Orbison and Bo Diddley, to name a few. In the '90s Marvin released three solo albums, The Mandolin Man (1991), Bone (1992) and Weapons Of The Spirit (1994), which were lavished with praise by the press. And now at last he's back, with Marvin Country!, an album full of ghosts and full of life, and with songs inspired by faith, love, hope, The Great Depression, Dylan, Kurt Vonnegut and Harry Teitelbaum, Marvin's grandfather, to whom the album's dedicated. 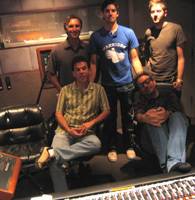 l-r: During recording of "My Summer Song" at Sunset Sound Factory: Lonni Sill, Adam Crossley, Asher Lenz (standing), engineer Steven Rhodes and producer Marvin Etzioni (sitting).